Pumps are a crucial part of water, wastewater and industrial processes and typically account for a large portion of a facility’s energy use. The efficiency of a pumping system can significantly impact energy consumption, system performance, reliability, frequency of failure and maintenance costs. JKMuir performs detailed pump system evaluations and has experience evaluating the pump performance, system hydraulics, and efficiency of pumping systems. The opportunities for energy reduction and cost savings go well beyond the motor and drive of a pump; a systems assessment approach is needed to achieve optimal performance. During pump system analyses, JKMuir performs field tests using calibrated portable instrumentation including flow, pressure, and power quality analyzers to verify current operating conditions. Our team’s extensive experience allows us to identify operational and equipment improvements to optimize pumping systems. Monitoring specific parameters such as electrical usage, flow rates and pressure periodically, or on a continuous basis, can provide an indication of the current operating points and a measure of the system efficiency. Optimizing the system can include maximizing the amount of time the pumps operate at the most efficient point on their curve and within the preferred operating range. In addition, replacement, resizing, and new technology are considered in determining the best fit solution. This can allow for equipment maintenance, rebuild, repair, or replacement to be scheduled and performed based on cost/benefit and payback analysis using real-time data. Optimizing asset management programs by integrating the energy usage and efficiency of individual equipment, including tracking energy usage, benchmarking, and prioritizing maintenance using efficiency as part of the criteria matrix can prolong the life of equipment and alert facility staff before equipment fails, reducing unplanned downtime. Many industries are moving towards continuous monitoring and wireless monitoring technologies as they discover the benefits compared to traditional hardwired systems. 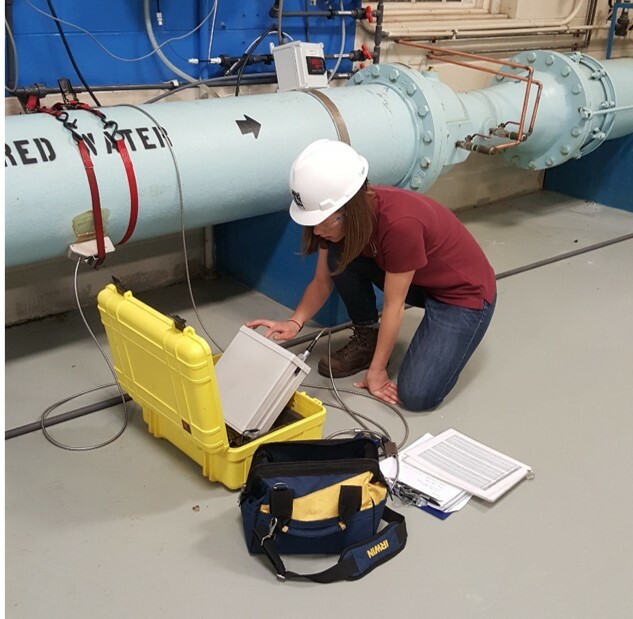 In addition to in the field pumping system assessments, JKMuir has experience evaluating a range of hardware and software options available for monitoring systems. Our analysis focuses on project cost, system reliability, security, expandability and the expected system lifespan. Continuous monitoring of pumping systems is providing a new opportunity for real-time optimization and proactive energy management. Grants and financial incentives are available for projects that provide energy savings for eligible pump system and continuous monitoring projects. JKMuir can also assist in evaluating how the U.S. DOE’s new pump efficiency regulations will impact your facilities operations and equipment selection. JKMuir is an Industry Partner with the Hydraulic Institute, and Jen Muir serves on the Pump Systems Matters Board of Directions. JKMuir staff are certified by the Hydraulic Institute as Pump Systems Assessment Professionals. To learn more about pump system efficiency, contact us today. JKMuir is WBE certified in California, Connecticut, Massachusetts, Rhode Island, New York City, and New York State. JKMuir is DBE certified in Connecticut, Massachusetts, Rhode Island, and New York State.